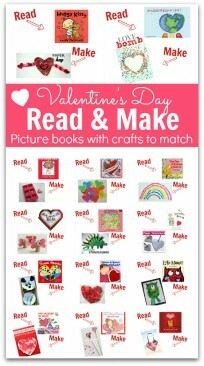 We love sharing links from other great bloggers who have awesome activities for learning with little ones. 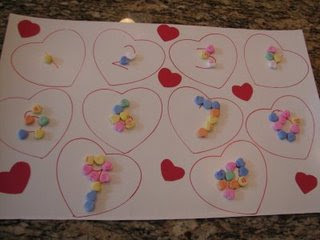 Jennifer over at Ramblings of A Crazy Woman shows us how to make this perfectly lovely Valentine’s counting game using heart candies! 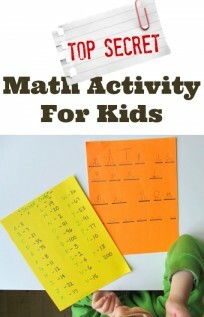 This activity is simple to set up and it’s adaptable for kids of different abilities to participate. It’s a fun and delicious way to help your little ones learn! For the full how-to for this project and a million more awesome ideas, take some time and head over to her blog. You’ll be so glad that you did! 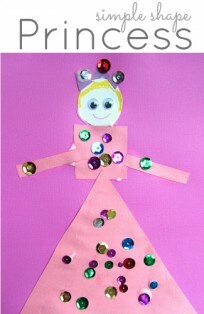 Next Post: Naptime Creation – La la la ! Cute! I do a candy heart sorting & graphing activity with my kiddos 🙂 So much fun! I saw this one the other day and we had to try it. My girls love doing this activity! Adorable! I already know how this one is going to go down at home . . . glue one, eat one, one for Mommy, repeat! Exactly- why I linked it over to the original , between the bark and cupcakes I have eaten enough Vday sweets! I randomly found a 10 sided dice in my house and had my kids take turns rolling, counting the # on the dice, then putting the candies on the correct heart. This one was easy and fun!